The Ramapo Valley Railroad has been featured in publications such as The Record, 201, The Villadom Times, The Town Journal and even The New York Times. The now-in-hiatus state-of-the art layout featured more than 500 feet of mainline track and the multi-tiered layout boasted a wide variety of bridges, tunnels, mountains yards, engine facilities and industries from traditional farms and modern wind farms to the Ho-Ho-Kus RR station itself. Express passenger trains and slow freights and the occasional maintenance-of-way trains delighted people of all ages and professions. The layout also featured state-of-the-art computer technology. All trains ran on DCC (every locomotive has its own computer chip and code so it can operate independent of other engines) and the entire mainline is under the command of a central control tower and dispatcher during operating sessions. The name “Ramapo Valley” was chosen, as it was a central geographic feature in Northwest Bergen and Northwest Rockland County; where most of the members lived. 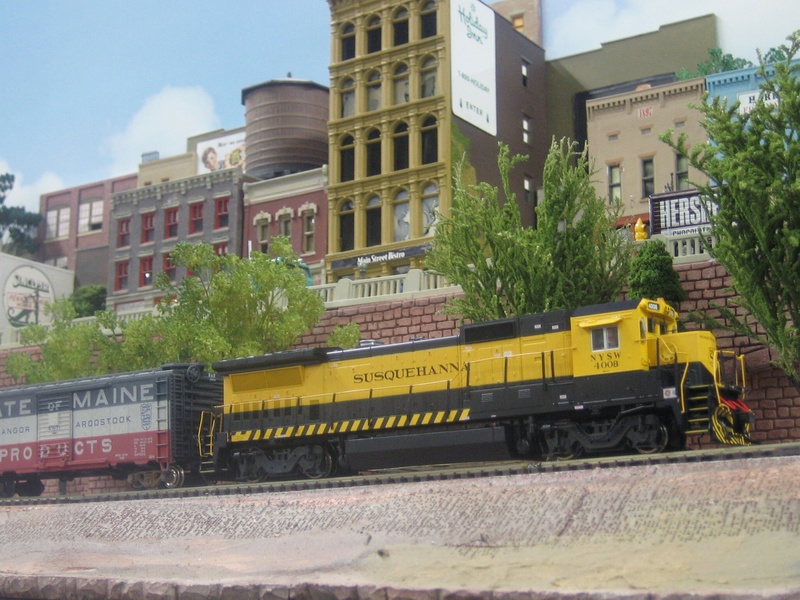 Without a railroad in the Ramapo Valley, it gave the club the ability to freelance their model railroad without being tied to the practices of any specific prototype or specific locations. The layout consisted of a double track loop, which was representative of any major long haul railroad. The club’s Ramapo Valley Railroad was conceived of as being a connecting, single-track short-line railroad with passing sidings and grades. From major cities to rural farms, and from major industries to wind farms, the RVRR continued to grow and evolve to it lost its lease in october 2017. The club used to meet every month (usually the last Friday in the month except in August and December) and operating session where trains were run as if operating on a real railroad over the course of a 24 hour period – with 24 hours being condensed into three or four hours via a “fast clock.” Visitors and residents were always welcome. Founded in 1962, the Ramapo Valley Railroad Club (RVRR) had been an active member of the Ho-Ho- Kus community since 1994 when the non-for-profit organization was invited by the Ho-Ho-Kus VFW to occupy its building at 620 Cliff Street to build an HO scale model railroad. The Club is presently searching for a new home. Contact Rene Mack at renemack2@gmail.com if you know of any appropriate space. Thank you. Welcome to cyberspace!! Like they say when they call a talk radio show, “long time listener, first time caller”. I will put you in my favorites and see what developes in your world.